Dental Implants Dental implants can provide the stability your bite needs! Speak with the Kirkpatrick Dentistry staff today to find out more! CEREC One-Visit Crown You can avoid drawing out your dental work by opting for a CEREC one-visit crown! 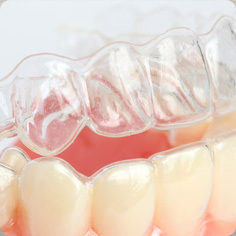 ClearCorrect System Try using the ClearCorrect system to straighten your teeth if you need orthodontic work! Dr. James K. Kirkpatrick treats the whole family at his Bakersfield office! Have you found yourself wondering if there’s a dental practice that can provide quality dentistry to every member of your family? Kirkpatrick Dentistry can see your entire household at our Bakersfield office! Dr. Kirkpatrick and our staff are dedicated to helping patients maintain or improve the health of their smile with any of our dental services, so please contact us today to schedule an appointment. We can assist our general dentistry patients twice a year during regular examinations. We also will be sure to provide helpful tips to consider during your daily oral hygiene routine. During standard examinations at our Bakersfield location, Dr. Kirkpatrick will check for anything worrisome, and if we discover an area affected by decay or damage, we’ll work with you to treat the problem quickly and effectively. We value long-term health rather than a quick fix, so our general dentistry appointments are thorough and comprehensive. Our children’s dentistry staff can care for the smiles of your loved ones gently. We’ll instruct your child on proper brushing and flossing techniques because it’s best to start good habits early. We hope to create a comfortable environment for the littlest smiles in your family so that a future visit to Kirkpatrick Dentistry can viewed as a pleasant experience. Recreate your beautiful smile with restorative dentistry! The staff at Kirkpatrick Dentistry knows how important the function and form of a patient’s bite can be. We have a variety of restorative dentistry services available to help you regain the use of your jaw and teeth. 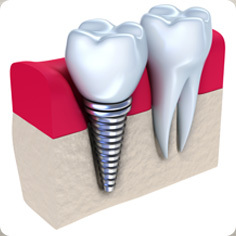 Dental implants could prove to be the secure solution your smile needs! CEREC one-visit crowns can also streamline an unplanned trip to our office. 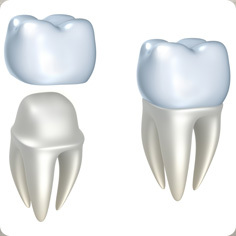 With this technology, we can create a crown to replace one you may have lost or to heal a broken tooth. Dentures and partial dentures are removable appliances which can rejuvenate the look and function of your mouth. Please contact Kirkpatrick dentistry today if you’d like us to help you renovate your smile. Improve your smile’s appearance with cosmetic dentistry from Dr. Kirkpatrick. Would you like your teeth to shine more radiantly? Dr. Kirkpatrick regularly sees cosmetic dentistry patients at his Bakersfield practice. To remove stains from your enamel, Dr. Kirkpatrick can use teeth whitening to do so. If you’d like to hide a healthy but broken tooth, you may want to ask about the benefits of porcelain veneers. Our cosmetic dentistry can give you a reason to smile! Straighten out your smile with ClearCorrect! It’s not uncommon for us to attend to a patient who was unable to receive orthodontic therapy when they were younger. Our Bakersfield team has witnessed firsthand how untreated alignment problems can lead to further complications. However, it’s possible for Dr. Kirkpatrick to use the ClearCorrect system to help; after all, it’s never too late to start improving your smile! ClearCorrect is a nearly invisible aligning tray that can provide the care you need while maintaining your professional look. You can say goodbye to the possibility of awkward metal braces! If you’re located in and around the Bakersfield, California area, please call our office today to schedule an appointment. We see patients who hail from Bakersfield, McFarland, Wasco, Fremont, Shafter, and nearby areas. If you’re new to Kirkpatrick Dentistry, please visit our new patients page to learn more about our practice. We can’t wait to welcome you to our dental family!